Dances | Swing Des Moines! Jive Junction is Swing Des Moines! monthly dance. Music starts at 8:30 and goes until 10:30 p.m. FREE!!! Free will donations will be accepted. Please consider joining us at Jive Junction! It’s a great chance to dance, have some fun, meet people or spend time with people you already know, and get your “dancing fix” for the month. So what’s Jive Junction like? It’s a lot of fun! Here are some of the most common questions we receive about Jive Junction. What are the ages? 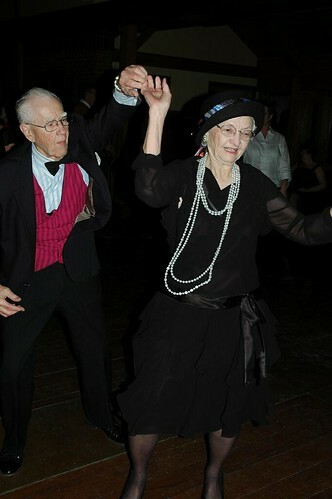 The dance is all ages. We have some regulars who are in high school, several who are college aged, many who are in their 20s-40s, several who are 40-60, and even some who are over 60. It is truly a mixed age crowd, and the dancers really do tend to mix it up. Do I need a partner? Nope. And you probably won’t feel like you stick out, either. 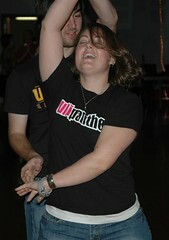 Most of our dancers come by themselves or with friends, not with dance partners, dates, or spouses. 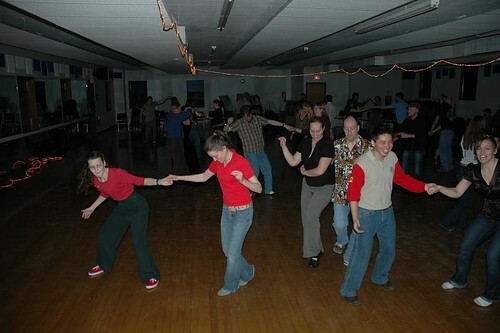 Even those who do bring a partner generally dance with many, many other people during the evening. What is the music like? The music is DJd by members of Swing Des Moines. 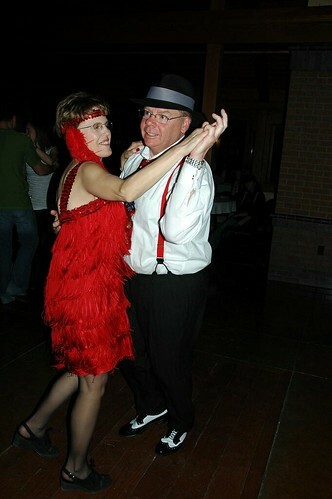 We play a variety of swing styles – big band, rock and roll, rockabilly, and even some other music thrown in for fun. You can read more about the music we play at our blog, here.